The Department of Transportation would be required to set minimum standards for seat widths and the space between rows on commercial aircraft as part of the latest version of a five-year FAA funding reauthorization bill agreed upon by bipartisan leadership in House and Senate. The good news? The 1,204-page bill, which still must be win formal passage in the House and Senate by a Sept. 30 deadline, doesn’t contain previously proposed disclosure requirements for large travel agencies, which drew strong opposition from ASTA. The bill would give the DOT a year to set minimum seat size standards based upon what is necessary for passenger safety. 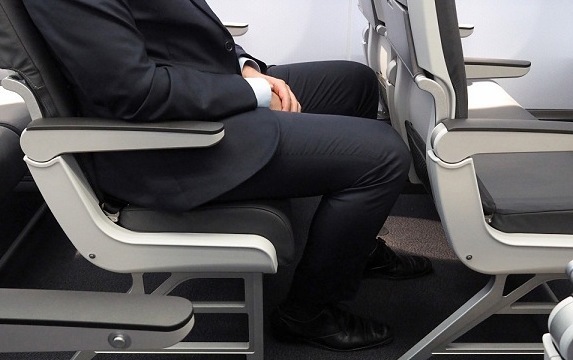 Its inclusion in the proposed legislation comes as airlines have shrunk seat sizes in recent years, especially the distance between rows, to squeeze more passengers onto planes. Its inclusion in the bill came over objections from the airline industry. Other consumer-friendly measures are also in the bill. One would prohibit airlines from bumping passengers who have already boarded from other aircraft. Another measure sets more exacting requirements for airlines to return fees for ancillary services that were purchased but not received, such as seat assignments and early boarding. But the bill doesn’t include a Senate proposal that would have limited the fees airlines can charge for checked bags, itinerary changes and cancellations. The measure was left out of the joint House/Senate bill amid strong opposition from airlines. Of note to the travel agent community is that the bill also doesn’t include language contained in an earlier House version that would have required brick-and-mortar travel agencies, OTAs and metasearch sites with annual revenues of at least $100 million to operate under the same airfare-disclosure requirements as airlines. The agent and OTA communities opposed that proposal, saying that it would increase the length of call times for agents and travelers, and that airlines aren’t even required to provide them with certain key information related to fares, schedules and other matters. The bill also left out a House proposal to get rid of the full-fare rule, which requires airlines to display government taxes and fees as part of the ticket price from the beginning of a fare inquiry. Another proposal that didn’t make the cut was the House’s proposed “flag of convenience” measure, which would have forbidden the DOT from issuing foreign air carrier permits to airlines undermining U.S. labor standards. Airline industry unions supported that proposal, but IATA and the U.S. Travel Association opposed it, saying it would undermine the open skies aviation agreements. The bill calls for $3.35 billion in funding for the FAA for each of the next five years.